NTT Inc. - Troubleshooting Hydraulics: What Do Your Workers Need to Know? Hydraulics are machines that use fluid or liquid power to execute simple tasks. 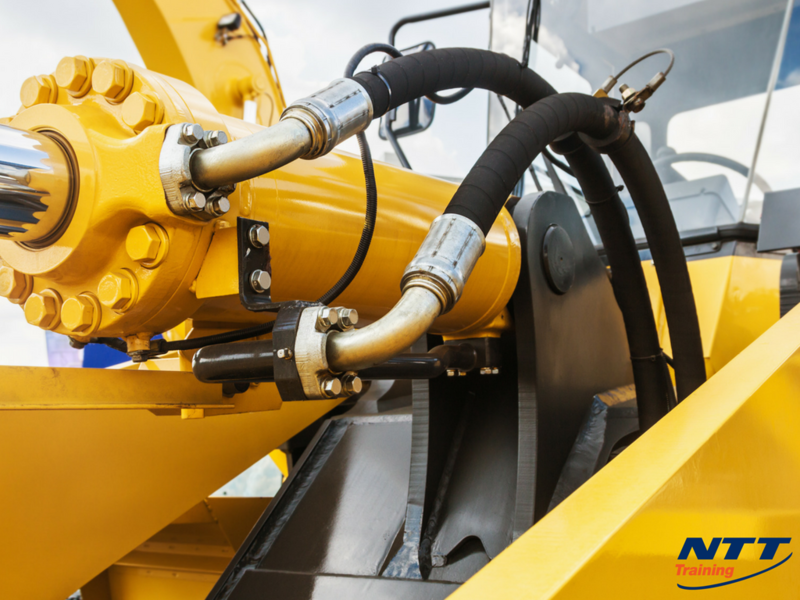 Unlike other machinery or tools, hydraulics could be difficult to use or handle at times. Let’s take a closer look at how these tools work and what makes them unique from the other types of machinery. They work with Physics principle known as Pascal’s principle, which states that the pressure exerted is distributed equally in the whole system. Used in our day-to-day activities including; vehicles (hydraulic brakes), forklifts, construction equipment, among other tools. Water: used for their less flammable characteristics. They are highly flame resistance. Although water-related fluids are not primarily used since, they do not provide that required lubrication. Petroleum and petroleum products: They are mostly used for their variety. They can be used as oxidation and rust inhibitors, fairly cheap and for their anti-corrosive properties. Synthetic/Artificial fluids: Mostly man made which are highly efficient for their high lubrication power and fire resistance. Although they are rarely used for being expensive and may contain toxic substances. Proactive machinery maintenance advocates for check-ups and correction of basic problems. For hydraulics, there are a number of symptoms that are easily detectable. High fluid temperatures: Most hydraulic fluids have an optimal boiling point of 180 F where temperatures above it could eventually accelerate degradation of the fluid. Any material that leads to the reduction of the system capacity to dissipate heat can cause the rise above normal temperatures. Since the reservoir performs this function, it should be monitored and maintained at the required level. You also need to check for the build-up of debris or dirt around the reservoir that may otherwise hinder the airflow around the reservoir. Abnormal Noise: Is often caused by poor aeration and cavitation due to contaminated air in the hydraulic system. Detectable symptoms that bring about abnormal noise include, alarming banging, foaming in the reservoir and knocking noise. Aeration causes degradation of the fluid, loss of lubrication and burning of seals. When the fluid required by the system exceeds that being supplied, this may lead to cavitation. It results in the formation of vapor cavities within the fluid due to changes in hydraulic and vapor pressure. Metal erosion and mechanical failure are the major consequences of cavitation. Maintaining the recommended fluid levels in the reservoir and replacing the malfunctioning pump shaft seal will address the condition. Slow Operation: In hydraulic systems, the flow of fluid determines actuator performance in terms of speed and response. When either is affected, it leads to longer cycle times. It is therefore important to check for any leakages in the system. Prior to any troubleshooting process, the troubleshooter should have considerable knowledge of the function of each component in a hydraulic system. Some components cannot be identified easily; therefore, the person should be familiar with these components in order to ensure proper troubleshooting of the system. The hydraulic personnel must be conversant with the recommended appropriate procedures needed for verification of a particular component. Quick tests and check-ups can be done to determine the faulty components. Random adjustments should be initiated first in an attempt to address the issue at hand. If there will be no changes in the system, there will be the assumption that there is a bigger problem that needs to be handled in a more technical way. Troubleshooters must be able to read and understand hydraulic symbols since a schematic approach should be used to address a hydraulic issue. Without reading the symbols, it will be difficult for your crew to handle these problems in time. Your crew must be trained in troubleshooting basics so that you can use minimal hydraulic parts and have a safer workforce. NTT Training is now offering Hydraulics Training and System Troubleshooting seminars that could help your employees learn more about hydraulics! To learn more, connect with us today.